This is an important question, because the warning from heaven is “If any man worship the Beast and his image, and receive his mark in his forehead, or in his hand, the same shall drink of the wine of the wrath of God which is poured out without mixture into the cup of His indignation. The Bible and book of Revelation tells us that God has a mark or a seal. Revelation 7:3. “Saying, hurt not the earth neither the sea, nor the trees, till we have sealed the servants of our God in their foreheads”. A seal is what makes a document official and it normally contains three characteristics. Name, Office and Territory. And example “George W Bush” name; “President” office: “United States of America” territory. The fourth commandment is the only one that contains all three elements of a seal. 1) The “ Lord” – His name; 2) “Made” – His office as Creator; 3) “Heaven and the earth and all that in them is” – His Territory. Moreover also I gave them my sabbath to be a sign between me and them, that they might know that I am the Lord that sanctify them. ( Ezekiel 20:12). And hallow my sabbath and they shall be a sign between me and you , that ye may know that I am the Lord your God. (Ezekiel 20:20). Verily my sabbath ye shall keep for it is a sign between me and you throughout your generation; that ye may know that I am the Lord that doth sanctify you. 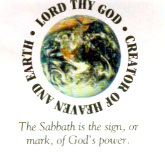 God clearly states that he gave the Sabbath as a sign of His power to create and sanctify. It is His seal or mark of authority. The word “Seal”, “Sign”, “Mark” and Token are used interchangeably throughout the Bible. What determines whose servants we are? 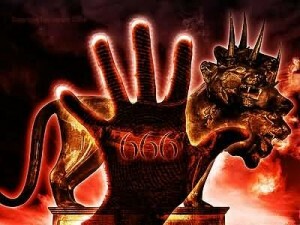 Is the mark of the beast or seal of God visible? 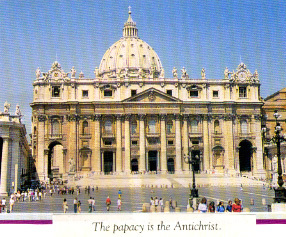 Choosing to obey the laws of the papacy (Sunday ) rather than the laws of God (Sabbath ) will leave you with the mark of the beast. Q-Which is the Sabbath day? A-Saturday is the Sabbath day. 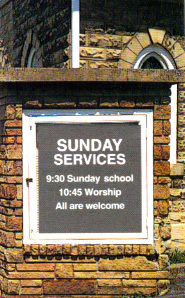 Q-Why do we observe Sunday instead of Saturday? A-We observe Sunday instead of Saturday because the Catholic Church transferred the solemnity from Saturday to Sunday. Peter Geiermann, The Convert’s Catechism of Catholic Doctrine (St. Louis B: Herder Book Co. 1957 edition pg. 50). Here is another statement from a Catechism. Q-Have you any other way of proving that the Church has power to institute festivals of precept? A-Had she not such power, she could not have done that in which all modern religions agree with her. She could not have substituted the observance of Sunday, the first day of the week, for the observance of Saturday the Seventh day, a change for which there is no Scriptural authority. So the papacy is saying that its mark of power and authority is making Sunday a holy day – a change that virtually the entire Christian World accepts. Can any be identified with the mark of the Beast now? No person has the mark now. When it becomes a forced issue, only those who have received the mark of the beast will be able to buy or sell. At that time, people who keep God’s holy Sabbath will do so at the risk of their lives… (Revelation 13:15) and those who choose to profane His holy day and officially cast their votes by placing the Laws of Men above the Law of God will be marked as belonging to Antichrist. All who are loyal to Jesus and His holy day will receive Jesus’ glorious seal. Thus making them His forever. Those who try to remain neutral will be counted for Antichrist. Matt.12: 30. Daniel 7 reveals an Old Testament description of the Antichrist’s power. It clearly predicts that the beast would attempt to change both God’s Laws and times. This is no accusation against a person, but against a false religious system. 1) Omitting the second Commandment against veneration of image. 2) Shortening the fourth Commandment from 94 words to just eight in order to avoid mentioning which day is the Sabbath. 3) Dividing the tenth Commandment into two Commandments. 1) Teaching to recognize the first day of the week as the Sabbath instead of the Seventh day. What was God’s criticisms of His ancient priest or pastors? God is still hurt when His pastors are partial to eight or nine of His Commandments and make us to stumble over His commands to keep the Sabbath holy. Times have not changed. God has placed the Sabbath, His great sign in the middle of His Law and begins that Commandment with the word Remember. Yet many people today feel that keeping His seventh day Sabbath is a strange thing. It is quite clear God printed rebukes to religious leaders who say that the Sabbath doesn’t matter and who claim “Thus saith the Lord” when it is not true. Glorious peace and rest enter your heart at conversion. The Sabbath which means “rest” is a symbol of the rest and peace that comes from the new birth. (Hebrews 4:1-10) Those who are truly born again will keep the Sabbath as a blessed sign of that rest (Notice verses 4, 9, 10). There is no joy like the joy that comes to a converted person who keeps God’s Sabbath holy. Open our eyes, dear God, and help us to truly and fully understand thy word, for thy word is truth…and truth shalt set us free…for when we are free in Christ we are truly free indeed. May the good God bless us as we make our decision for Him. Article presented to End Time Ministry by Elder Anston Roberts, Point Fortin, Trinidad, W.I.